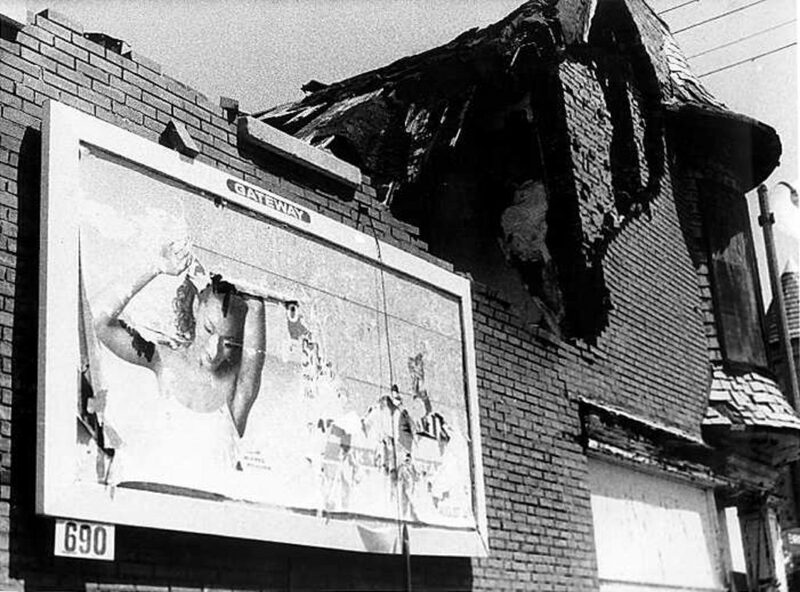 Completed in 2000, still/here was Christopher Harris’s thesis film, an experimental documentary, shot in 16mm black and white, which captures the urban ruin of St. Louis, Missouri. It explores St. Louis through a complex interweaving of the city’s musical, social and cultural history. The film focuses on empty buildings and urban drift, demonstrating the dissolution of the city’s once thriving African-American community. St. Louis has a rich cultural heritage, which is channelled throughout still/here, whether in images of derelict African-American cinemas, fading billboards or through unanswered phones from abandoned domestic spaces. Harris’s camera explores the emptying urban space and the film seems to ask the viewer to reflect on the causes of such decay. Refraining from making distinct allegations, still/here is a passionate condemnation of the politics of class and race in the USA, while retaining hope in the ability of art to salvage beauty from the midst of despair. 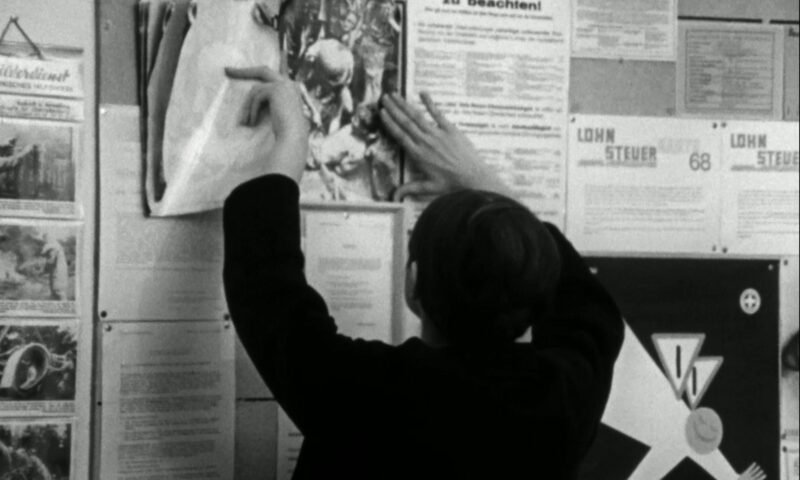 As Terri Francis notes in her essay ‘Between Documentary and the Avant-Garde’, still/here recalls the city symphony in that, like Berlin, Symphony of a Great City or Man with a Movie Camera, it is a portrait of a proud city rich in heritage. However, whereas the city symphony is defined by exuberance, movement and speed, still/here focuses instead on emptiness and lack. As Francis writes, ‘Voices are heard, but there is no dialogue’. Accompanying still/here is Sun Song, directed by Joel Wanek, who worked on the production of Christopher Harris’s film. Focusing on Durham, North Carolina, Wanek uses the city’s transit system as a microcosm of race relations in the state of North Carolina, and infuses his film with the spirit of jazz musician Sun Ra to establish a mixture of the everyday and the mystical. Following the screening Christopher Harris will be in conversation with Karen Alexander. This screening is presented with the support of Open City Documentary Festival.